Udaipur : She strongly believes that mundane routine life is not for her. Adventures attracted her from a young age specially trekking on high altitudes had been her passion. 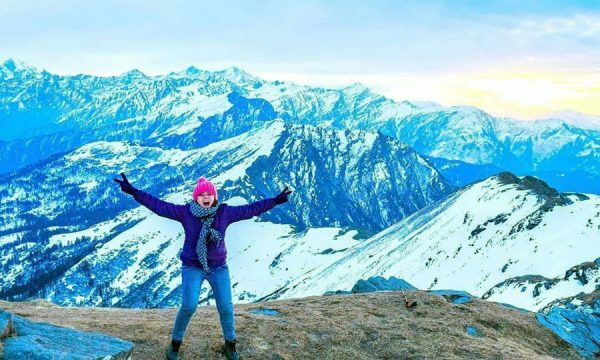 Ruchika Jain, a 25-year old woman from Udaipur has recently successfully completed the Chadar trek, one of the most difficult considered trekking path in the Himayalas. The group of 16 people where she was in had all male members except her and she was the only person from Rajasthan. The journey started on January 29 but nine of the team members backed out finding it difficult to brave the challenges that posed before them. The trekkers walked 105 kilometers on the frozen Bakula river situated at an altitude of 11, 150 feet. 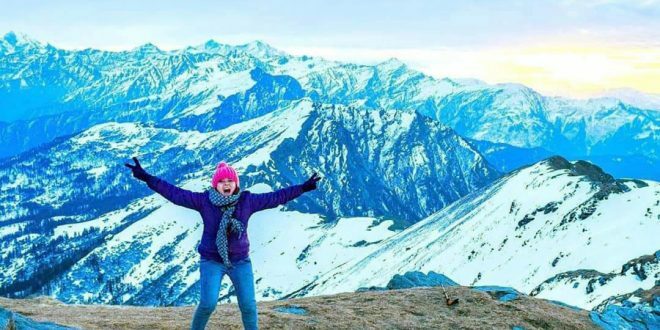 “My very first trek was at Dharmshala Himachal Pradesh and second was at Kedar Kantha in Uttrakhand which is at altitude of 12800 from sea level where I lead a group of 60 persons” Ruchika told Udaipur Kiran. She completed her third trekking at Sarpass Trek in Kasol at 13800 altitude where she led a group of 1500 people. Sharing her experiences about the Chadar trek, she says ” My biggest fear was how to convince my family to permit me for trekking in minus 30 to 35 degree temperature. They agreed after much pleadings and I landed at Leh where our acclimatization session took place for three days”. Walking on the frozen river was like walking on a thin sheet of ice which could break anytime. ” It happened often when we had to walk in knee deep chilling water where the ice had melted. Cold bites and hypothermia were other health risks that involved in the trek but finally all of them were worth taking” claims the young girl. 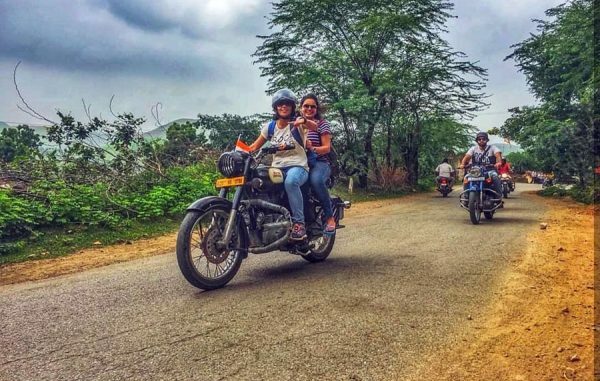 Ruchika, who calls herself a wanderer has been roaming alone across the country including several cities and states. Recently she has started a vlogging channel ‘Fireflydo’ where she shares information about the places she goes. Ruchika is a nature enthusiast and has tried her hands on paragliding as well as bunjee jumping.